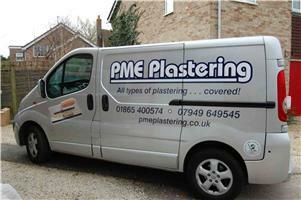 PME Plastering - Home Improvements, Plasterer based in Chalgrove, Oxfordshire. PME Plastering is a one stop solution to all your plastering requirements. Based in Oxfordshire the company has some twenty plus years of experiance including city and guilds and other essential qualifications. Please look at our services page to see the full extent of what we can offer you. Maybe you are a home owner looking to remodel, maybe you have some insurance work that is required or maybe you have just moved into a new home and want to make it feel like your own. Whatever the need may be, we will have a solution for you. We also cater to the commercial and industrial market and are happy to assist on new build, development or restoration projects. Call or contact us today and we will discuss the project in detail.